Ganesh Chaturthi is a Hindu festival in India celebrated in honor of the elephant god Ganesha. It is usually a ten day festival and on the eleventh day the idol is immersed into a local water body such as a pond, lake, river or sea. It is notably one of the biggest celebrations in the Indian state of Maharashtra. 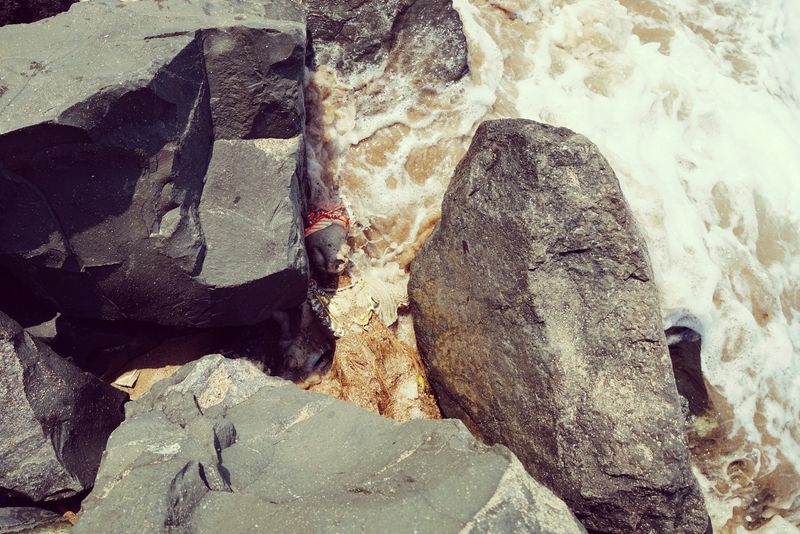 In Maharashtra the idols are immersed in the Arabian sea and this practice has garnered a lot of controversy. 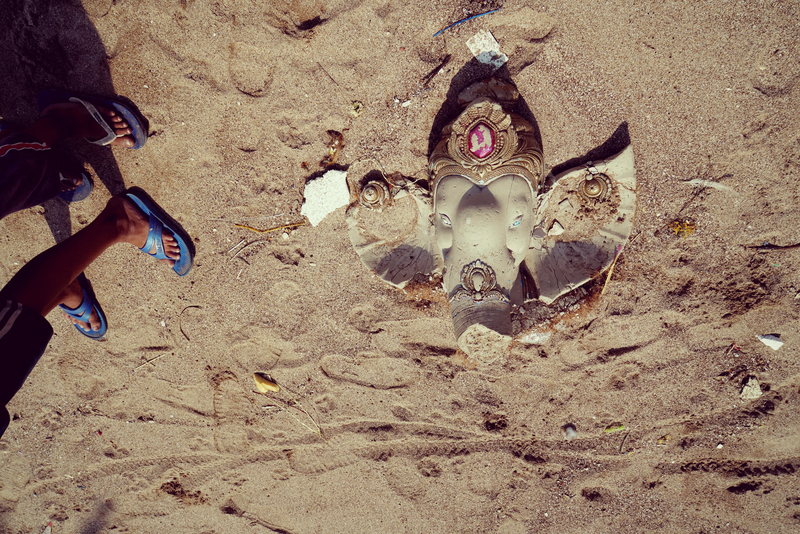 According to a study conducted by Central Pollution Control Board in Bangalore, these idols cause massive changes in the water body and harm the environment. 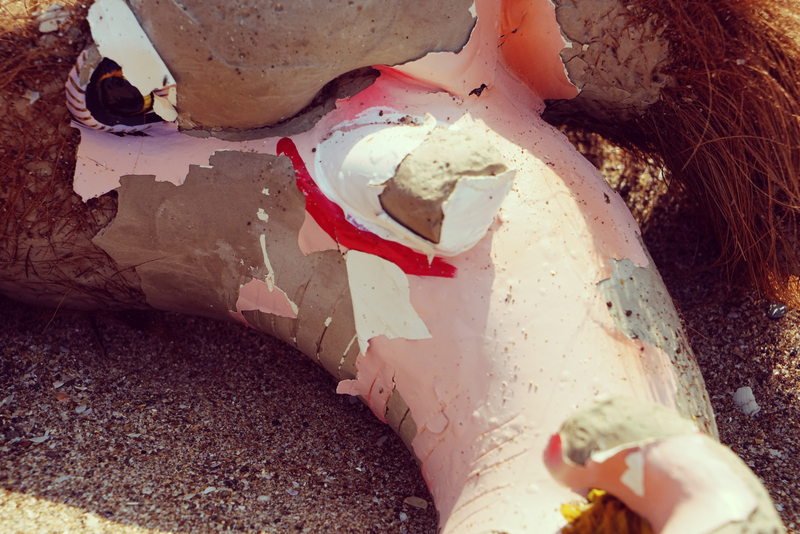 The idols are made of a chemical called PoP (Plaster of Paris) which is not a naturally occurring substance. During immersion these harmful substances like PoP and chemical paints dissolve into the water and can take from a few months to years to dissolve. They increase the acid content in the water bodies. The TDS (Total dissolved solid) is increased by a staggering 100% . According to the study, the heavy metal content has shown an increase in metals such as iron which increased nearly 10 times and the content of copper in the sediments increased by 200 to 300 %. The government is trying to change this practice by promoting immersions in artificial tanks built specifically for this purpose. 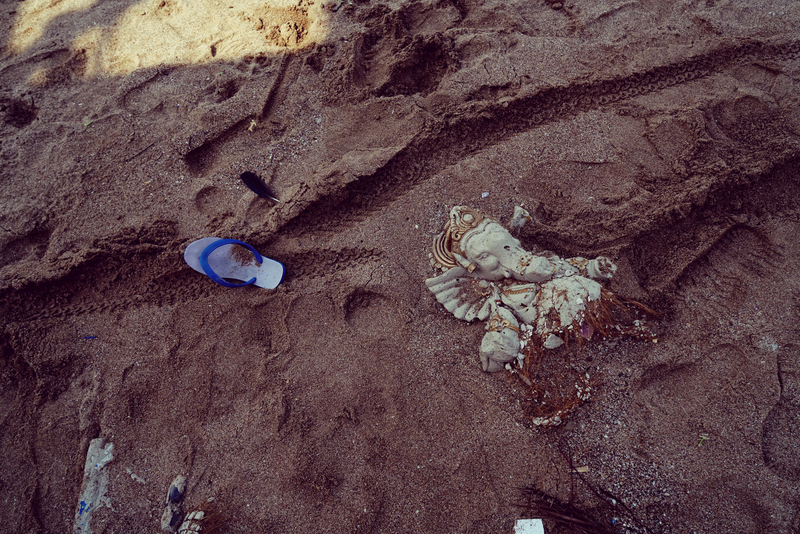 Many schools and colleges organize cleaning drives, day after the immersion but not all idols wash back ashore in that time. 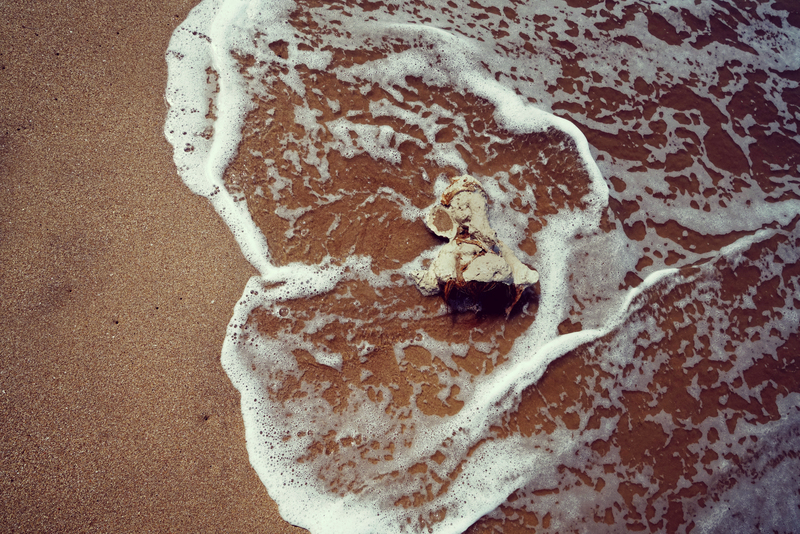 It does keep the beaches clean but by that time, most of the PoP and paint has washed back into the water. 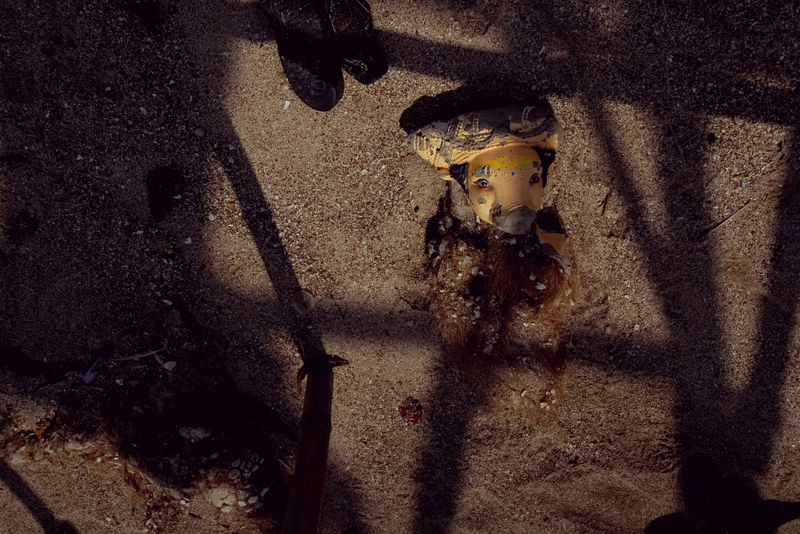 These photographs are a representation of what the sea had returned back. All shot a day after the clean up drive (i.e. two days after the actual immersion). This just proves that the clean up drive is not a permanent solution and people need to change their practice to save the environment. 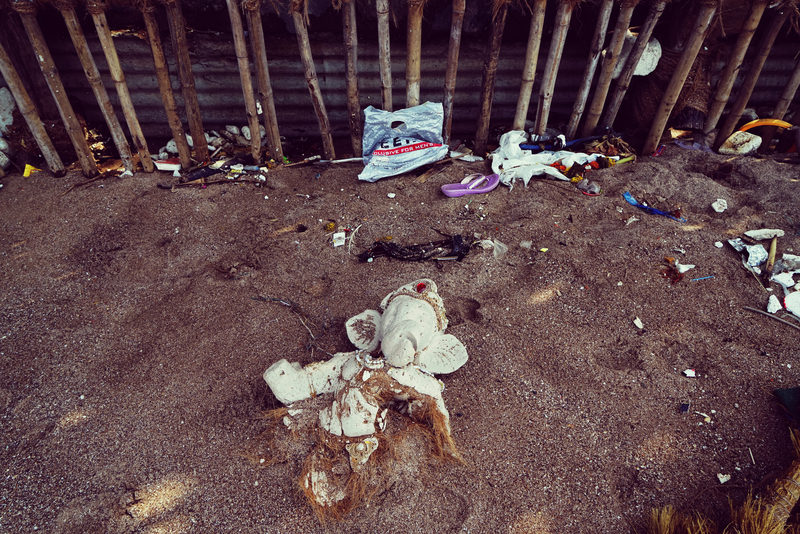 The beach turns into a graveyard for the God’s mortal remains and it is quite haunting to see parts of the idol – a hand, an elephant trunk, half a body laying there, neglected in the sand.